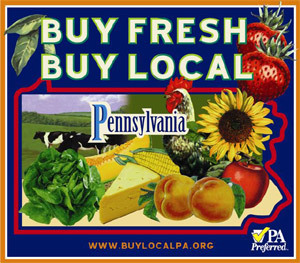 The Pennsylvania Association for Sustainable Agriculture has announced its first annual eat local food week, to begin September 10, 2006 and will include lots of events and activities in conjunction with area restaurants, businesses, farmers markets, and grocery stores. 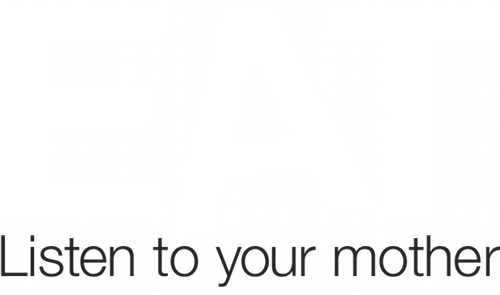 For a complete list go to the PASA website and click on Local Food Week. In my opinion it makes a lot more sense to eat locally in September when the harvest is in than back in May, when those of us in more northerly climes would have had to sustain ourselves on rhubarb and ramps, with maybe a few very early spring greens if we could find them. It’s one thing if you live in California or Florida (or Australia, I suppose) but quite another when you live as far north of the Mason-Dixon line as we do here in Pittsburgh. I do wonder about such crucial staples as coffee, spices, and olive oil, though; is it okay to use them if I buy them from a local grocer, i.e. an independent one? I’m sure these topics have been covered extensively elsewhere, so maybe someone will write in and enlighten me. You’re so right about it being easier to eat locally in early September than it is in May ’round about these parts. And if you are in a place like northern California, eating locally will always offer more variety than eating locally just about any place else. I like the idea of eating locally as much as I can though. I’d much rather support smaller local producers than corporate agriculture. Poor Cream Puff was actually trying to eat locally in May and she lives in TORONTO, for crying out loud! All I can say about that is that she must be an oldest child, yet even she was balking at the thought of giving up spices and seasonings that she couldn’t forage for herself in the Canadian woods. I’m trying to figure out what we can “eat local” at the ballyard tonight – Manny’s barbecue or a Primanti’s sandwich might come closest unless I get myself together enough to bring something from home. And, in another perplexed attempt to bring diverse postings into dialog, where does Fresh Direct produce come from? Does the produce have stickers or tags on it when it arrives at one’s abode? Does one get a map when he logs onto one’s account? I’ve heard of Peapod (also not in the burgh), which I think just delivers produce from one’s local grocery chains (DC, CT, etc? ), so one could check if the info wasn’t provided . . . ? Good questions, zp, and maybe Leland will respond. I’ve tried to log onto the FD website, but I guess since they don’t service our area I can’t even seem to get access. We used to have some kind of grocery delivery service here but I forget the name of it; a friend of mine with 3 children under the age of 5 used to use it, but then they went went out of business or something. She really liked it and said the prices were comparable to the supermarket. But again, I’m not sure where their food came from.